Today we have another series in our continuing pursuit of Starbucks coffee education. 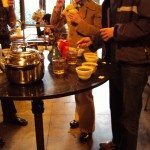 In a previous blog post, I talked at length about the experience of cupping coffees at 15th Avenue Coffee and Tea. 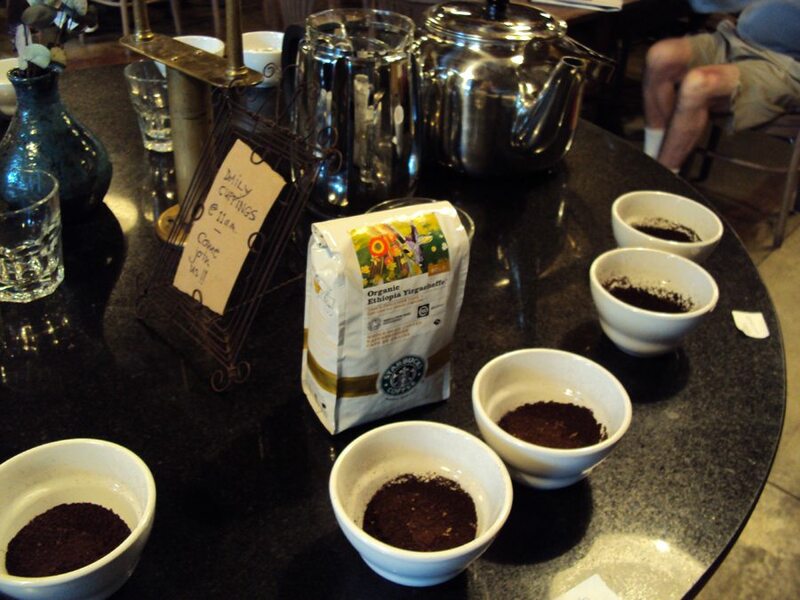 A coffee cupping is the industry standard to analyze the flavors of the pure coffee bean. 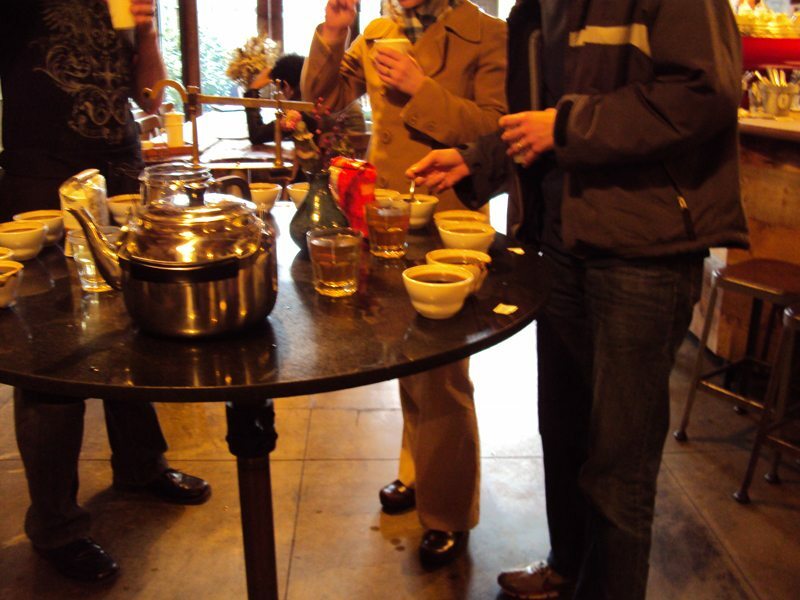 Note that a coffee cupping is NOT the same thing as a coffee tasting. By random good luck, today I brought with me to 15th Avenue Coffee and Tea two rare Starbucks international coffees. The first is Mexico Blend sold only in Mexico, and the other is Organic Ethiopia Yirgacheffe. In a previous blog post, I explained that Starbucks markets certain coffees just for certain regions. The Mexico coffee is yet another example of this. As good luck would have it, a friend took a vacation to Mexico and surprised me by bringing back a pound of this rare coffee only sold in Starbucks in Mexico. Please note, this is not the same coffee as the Mexican Chiapas currently available as a seasonal offering at Starbucks. 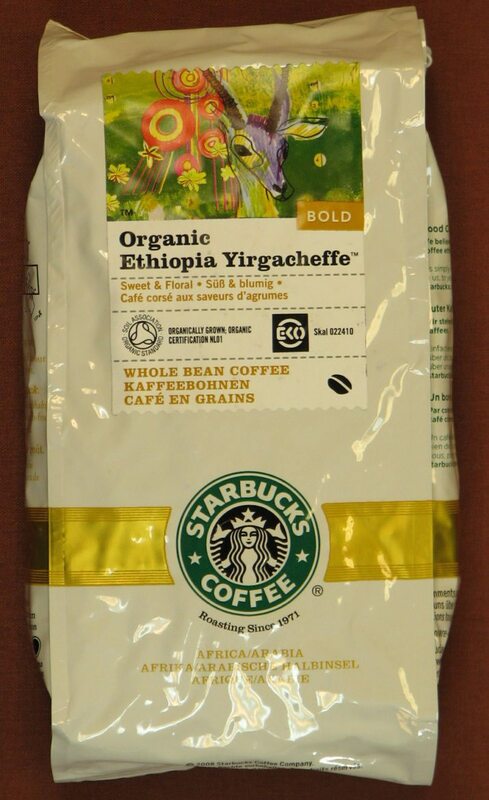 The Organic Yirgacheffe coffee is commonly sold in international Starbucks markets such as the UK, Ireland, and Europe but not available in the United States. 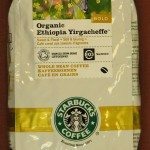 A UK Starbucks partner completely surprised me and delighted me by sending me a bag of Organic Yirgacheffe. Starbucks International Whole Bean – A previous blog entry explaining about the Starbucks international coffee offerings, and that many markets have their own special coffee blend. 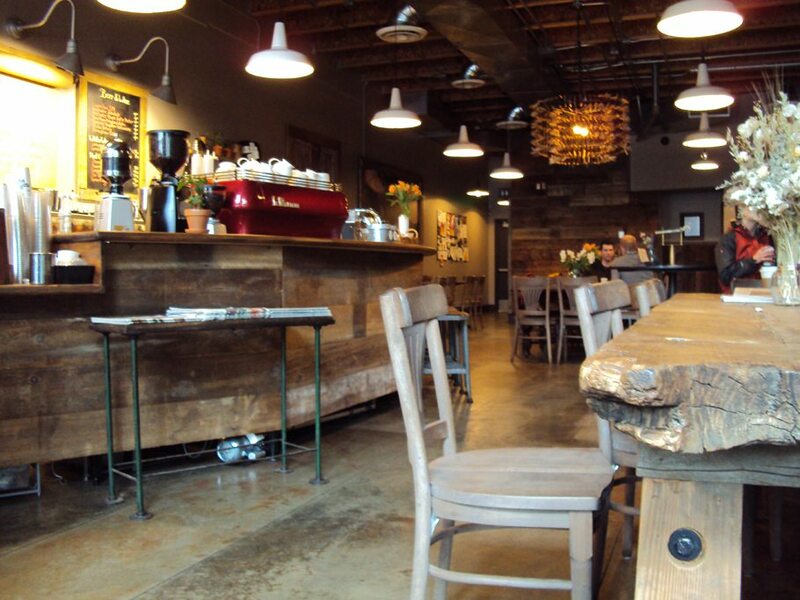 There are two mercantile Starbucks – A previous blog entry explaining that 15th Avenue Coffee and Tea and Roy Street Coffee are two unique non-branded stores operated by Starbucks. 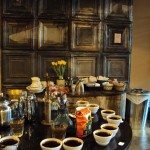 Your introduction to a cupping – A previous blog entry explaining what a cupping is and with some information on Starbucks Arabian Mocha Sanani coffee. Casi Cielo Coffee – Casi Cielo returned to Starbucks as a seasonal coffee January 2010. * Organic Ethiopia Yirgacheffe (Sold in UK, Ireland, Europe. Note that this is a “washed” processed coffee). 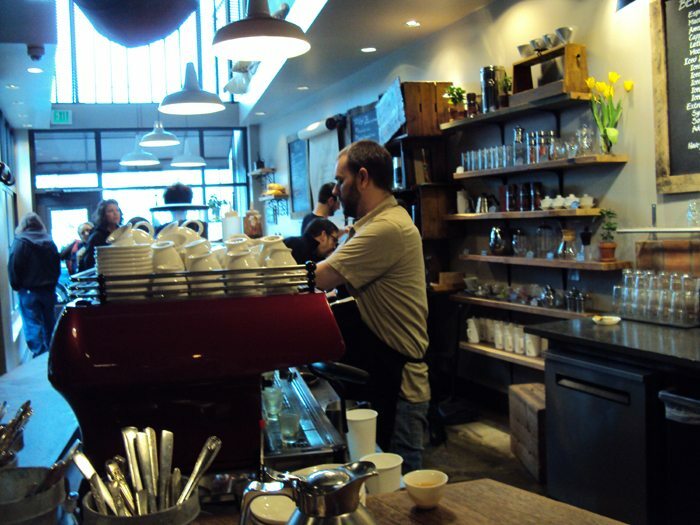 Jay, a barista who came to 15th Avenue Coffee and Tea from the 23rd and Jackson Starbucks, prepared the cupping today. 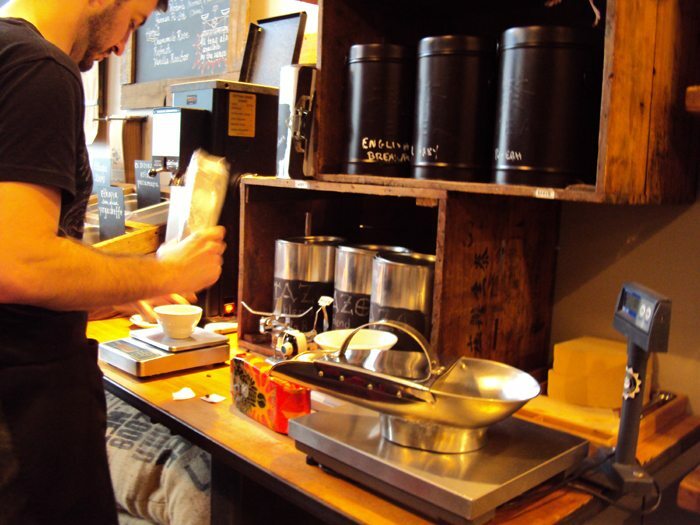 As always, 14 grams of coffee were weighed out, ground, and placed into coffee cupping cups. A small group of customers participated. I had brought a friend with me who particularly liked the Mexico Chiapas coffee. 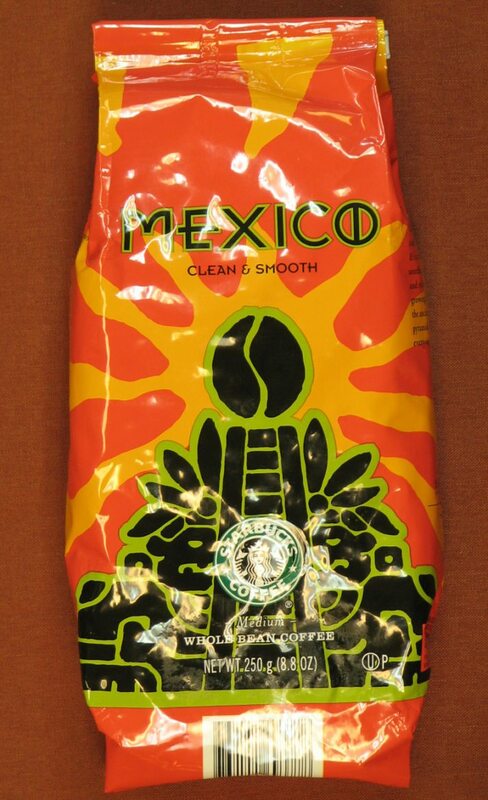 The Mexico coffee from Mexico is labelled as “clean and smooth” on the packaging and those words describe it well. It is a fairly light-bodied nice clean coffee. I definitely enjoyed it. 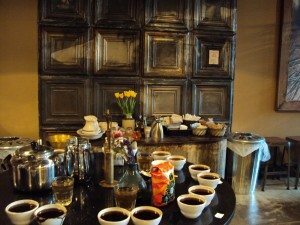 The enjoyable surprise for the cupping was getting a chance to compare a washed Yirgacheffe side by side with a sun-dried coffee. For those who don’t know, the terms “washed” and “sun-dried” here refer to how the coffee bean is processed, and how the coffee cherry is removed from the coffee bean. A sun-dried coffee bean is processed by a dry method with the coffee cherries laid out on tarps often on the coffee farm, with the whole coffee cherry drying in the sunshine. Because of this processing method, the beans take on distinct flavors from the long duration of having the cherry on the bean before removal. A “washed” coffee is one where the coffee cherry is removed fairly early in the process through large mechanical water removal methods. Both of the Yirgacheffe’s had very distinctive berry flavors to them, which is characteristic of that region’s coffee. The washed Yirgacheffe (the organic version) was much lighter bodied in the mouth than the Sun-Dried Yirgacheffe. Given the lighter body but strong berry tones to the organic Yirgacheffe, I would imagine it would make an amazing iced coffee. The washed Yirgacheffe’s flavor was a little flat in comparison to the Sun Dried Yirgacheffe’s flavor. Though the side by side comparison of these two coffees was a little skewed by the dramatic difference in when they had been roasted. The Sun Dried Yirgacheffee came from the Kent Roasting Plant and had been roasted on January 24, 2010 (one unique aspect of the two mercantile stores is that they receive coffees faster than the regular Starbucks, thus a little freshly roasted than at a Starbucks). 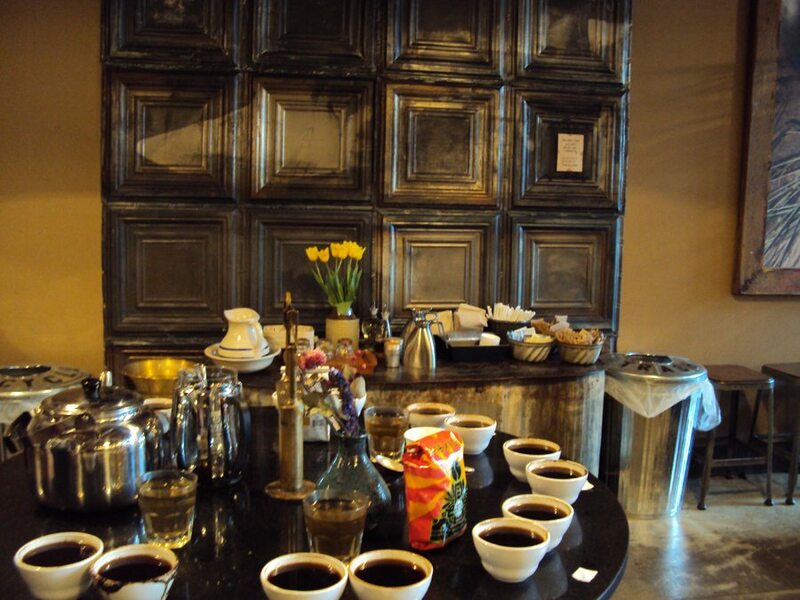 The Organic Yirgacheffe was roasted at the Amsterdam roasting plant. The coffee probably spent a couple of weeks in transit to me from the UK and by my estimate, had been roasted likely in October 2009. 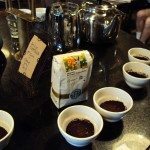 After the cupping was over, I sat down with my friend, and we somehow ended up striking up a conversation with a young man sitting near by who had also participated in the cupping. For me, this was another one of those Starbucks moments that makes the experience of being there, and being a part of it, especially fun. The young man “John” had recently relocated to Seattle, moving here from Florida. He said that he had almost stopped going to Starbucks because it seemed so divorced from being a coffeehouse experience. He came to Seattle and stumbled upon the Clover and the two mercantile Starbucks which completely re-ignited his passion for coffee. Perhaps I’m too much of a coffee enthusiast, but I relish in these kinds of testimonials. Starbucks store reviewer Juan Valdez rides again! So pleased you enjoyed the coffee. The washed yirg is a great iced coffee you’re right! We only offer one sundried over here, Arabian Mocha Sanani, it’s always fascinating to drink! Fun! I’ve got to make it over there again. Appreciate the photos! Cool post Melody! 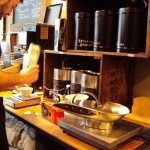 It’s interesting to learn a little bit about coffee especially as I don’t really know a lot about it. I really like that Mexico. I’ve had it twice. As for the freshness, a lot of our Clover coffees are just as fresh, as is our espresso and Pike Place Roast. When we brew Sumatra through the brewers it’s pretty fresh as well (because we go through so much for the Clover). I wish we got all of our coffees that fresh. I’m looking forward to being able to make one of the cuppings. 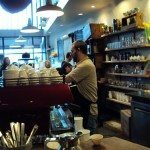 I’ve been to 15th Ave Coffee once with lyracole and reallly enjoyed my experience there. I had coffee brewed for me right into my cup and while I don’t remember the blend I chose it was delicious and smooth 🙂 Their selection of treats left my taste buds crying for more too. I had a berry tart of sorts – delicious! Hey! Great post! Very informative. I’ll certainly be coming back for my starbucks info fix. Enjoyed cupping with you. SbuxMel – not sure how much you “love” your lawyer job, but Starbucks should pay you just for being so awesome! Great post. 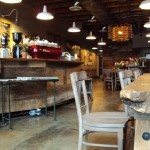 Its so cool to learn about things like this…I’ve never found a Starbucks or any little coffee shop around here to offer a cupping…I would go in a heartbeat if they did! 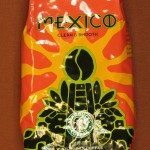 I agree that the Starbucks Mexico coffee is somewhat better than the nutty Chiapas or Organix Mexico coffee.